Google+ is a fantastic tool to use if you are an author and want a cheap and easy way to publicize yourself and your latest book. 1. When you set up an account, try to write your biography in such a way that best explains everything that your readers need to know about you, it should also be written in a way that it will give it maximum visibility when people search for certain keywords that are associated with you. Search Engine Optimization (SEO) tricks can help to direct search engine traffic to your site, so make sure you include keywords such as "fiction" or "new author" which are terms that people are likely to search for. 2. Verify your account and make sure you have an appropriate picture. If your account is properly verified, your picture will appear next to search results that are returned when people search for related keywords. This means that you can get your picture out there so much more easily and people will start recognizing you. 3. Link your Google+ account to your website, your blog or any other social media sites you use, such as your YouTube, your Twitter or your Facebook fan page. This allows any fans you have on Google+ to connect with you via these other social media sites as well, and can help to generate more visibility for your writing. 4. Make sure that you have added all your important contacts to Google+. If you add and recommend other authors, there is a strong chance that some will return the favor and add you in return. Once people are connected with you, they are more likely to see your posts on both Google+ and on regular Google searches. 5. Hold Google+ Hangouts for select groups of fans. A hangout is a group video chat which allows up to 10 users to actively participate at one time. The participants have to be Google+ users who have received the required unique URL from you. Either hold a reading for these select group of fans, or hold a question and answer session. You can handpick the fans, or you can offer the chance to participate in the hangout as a prize in a contest you hold. If you want to reach a larger audience it is possible to host a "Hangout on Air" which can be viewed over YouTube, and recorded and posted on YouTube for people to watch at a later date. 6. Google+ is good for authors, because there is no maximum post length for things that you post, unlike when you tweet on Twitter. This can allow you to show off your writing skills to their full potential. If you want to give fans a teaser, you can consider posting the first chapter of your new book, but only making it available to people in certain Google+ circles. This gives fans the onus to connect and engage with you. You are also allowed more freedom to format posts in the ways that you want to, including putting things in bold or in italic. 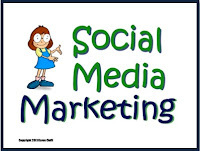 Google+ is one of the best social media sites on which to showcase your writing ability. Join Google+ to help self-publicize your writing. 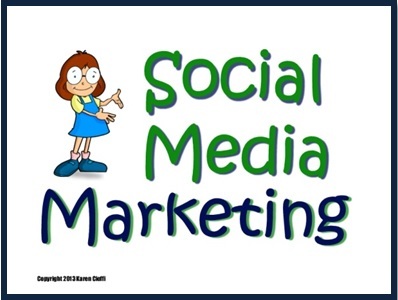 Marketing your book via Google+ or any social network is an ongoing process. In order to properly market your book and yourself as an Author you should consider using a third-party service like Authr .com or if you're a new author you should read the book, "Publish It Now! From Blank Page to Bestseller", available at Amazon or http://www.publishitnow .com. Erik N Bowman is the best-selling author of "Ultimate Marketing Secrets: Social Media Marketing", founder of Authr .com and the best-selling author of "Publish It Now! From Blank Page to Bestseller".